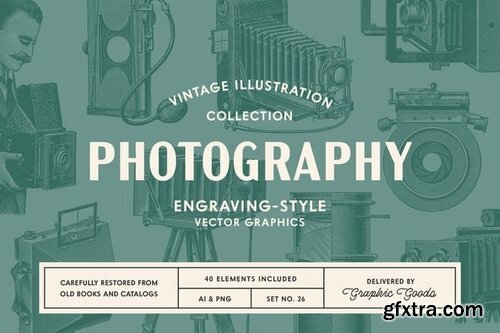 A collection of engraving-style graphics restored from 19th and early 20th-century books and catalogs. 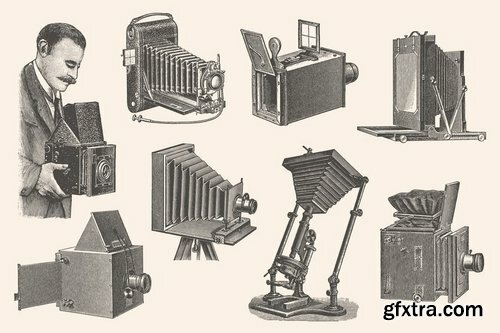 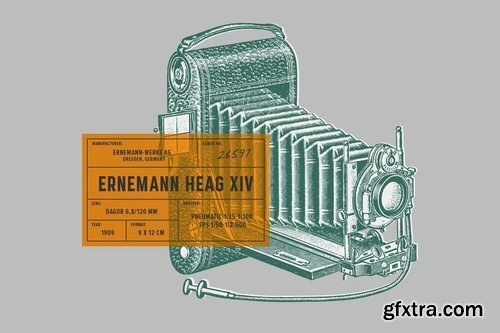 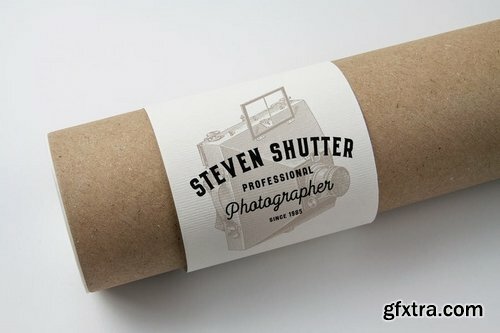 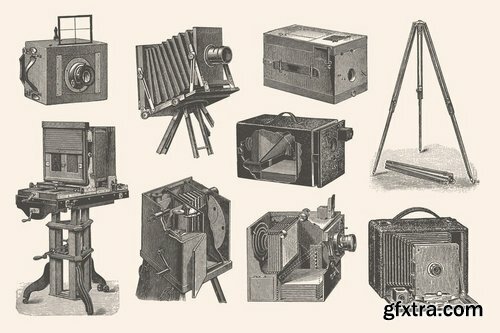 This set contains 40 vintage illustrations of old cameras and photography equipment. 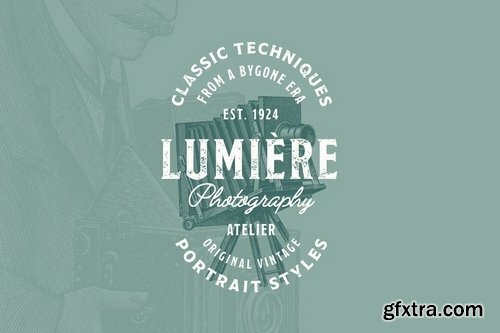 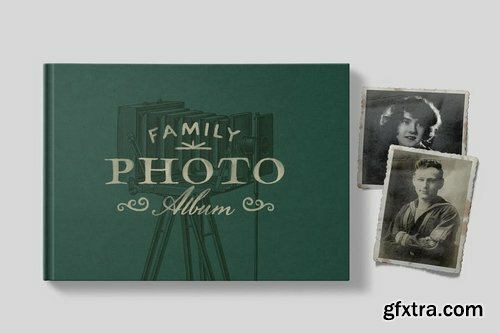 In this pack you can find many examples of vintage cameras such as instant camera, hand camera, folding camera, plate camera, box camera, detective camera, travel camera, stereo camera, panoramic camera, mirror camera, atelier camera and more. 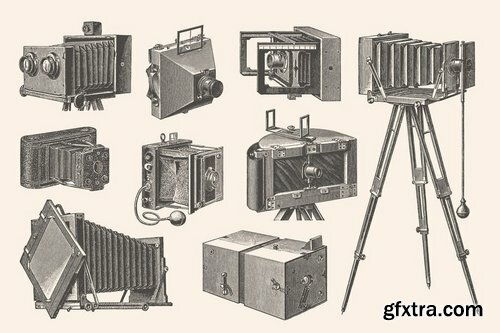 Some other photography gear included is various shutter types, many kinds and sizes of lenses, tripod etc.